Seller will give you a gift certificate in the amount of 10,9 RUB for a positive review of the product purchased. Attention! You can activate the purchased software only within Russia. In the event of a discrepancy between the renewable product and the previously acquired one or if there is no activation code for the previously acquired software, the license will be valid for a period of 8 months. The license period is counted from the moment the key is activated on the first device. A single solution to protect all your devices. 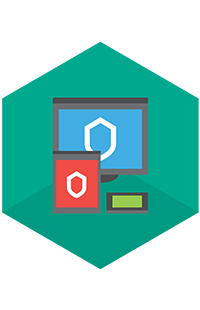 Kaspersky Internet Security for Android (Protection of smartphones and tablets). The buyer receives only 1 activation code of the type XXXXX-XXXXX-XXXXX-XXXXX, which is suitable for activation of the current (2016, 2017, 2018) versions of the product on any device (Windows, Mac, Android). Seller will give you a gift certificate in the amount of 10,9 RUB for a positive review of the product purchased..